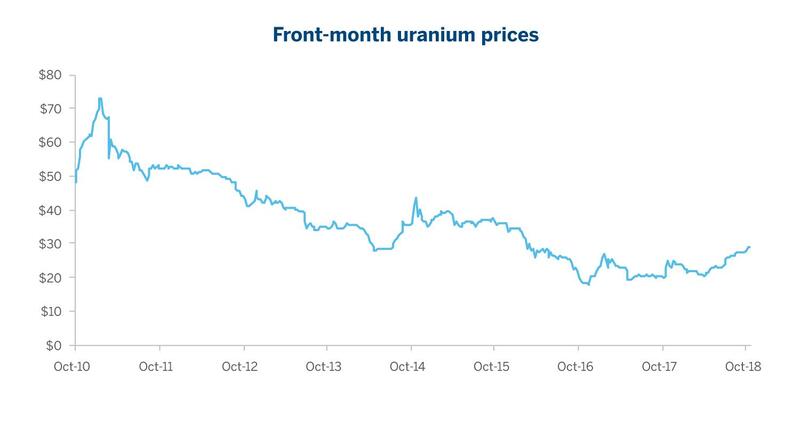 Changing fundamentals for uranium have led to a 30 percent rise in prices over the past five months, bringing new attention to this key power generation fuel. Uranium production has outpaced demand for many years, suppressing prices. Front-month uranium futures settlement prices fell from a high of $73/pound in February 2011 to a low of $18/pound in December 2017. This low-price environment led several major uranium mines around the world to suspend production. So far in 2018, a further three major uranium mines in Canada, the United States and Namibia also halted production, reducing global output by almost 16 percent. But while supply has fallen, demand for uranium is growing, particularly from Asia. 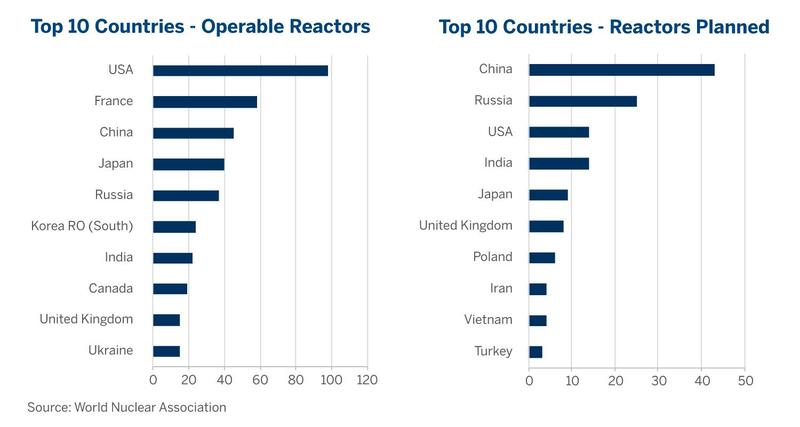 In November 2018, there were 54 nuclear reactors under construction across the globe, 25 percent of which are in China. China also plans for a further 43 reactors and is considering adding another 136 in the future. The shift to a more bullish supply-demand balance has seen prices recover. Uranium futures settled at over $29/pound on November 27, which was also the most active trading day since December 2015. Front-month prices have increased 30 percent over the past five months, which has encouraged greater risk management by electricity producers. The uranium market may be entering a period of structural deficit given the level of supply that has been taken off the market and the increase in demand.